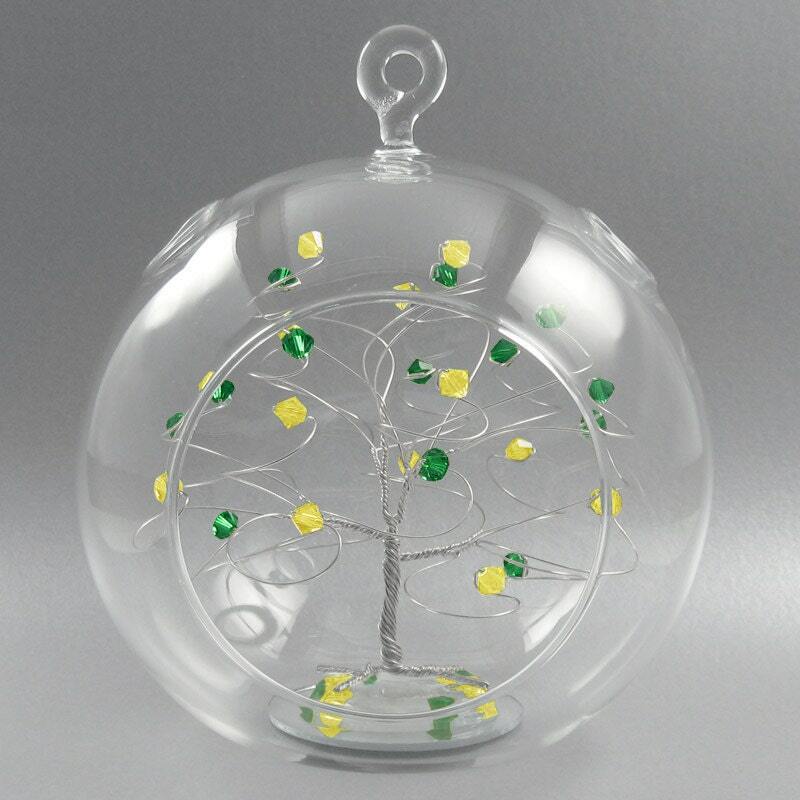 This listing is for one custom tree sculpture christmas ornament made to your custom specifications. To order just select a wire from the drop down box and add to cart. There is a message box located in the shopping cart where you can list the beads that you would like used on your ornament. Please use the color names from the chart located in the additional photos. 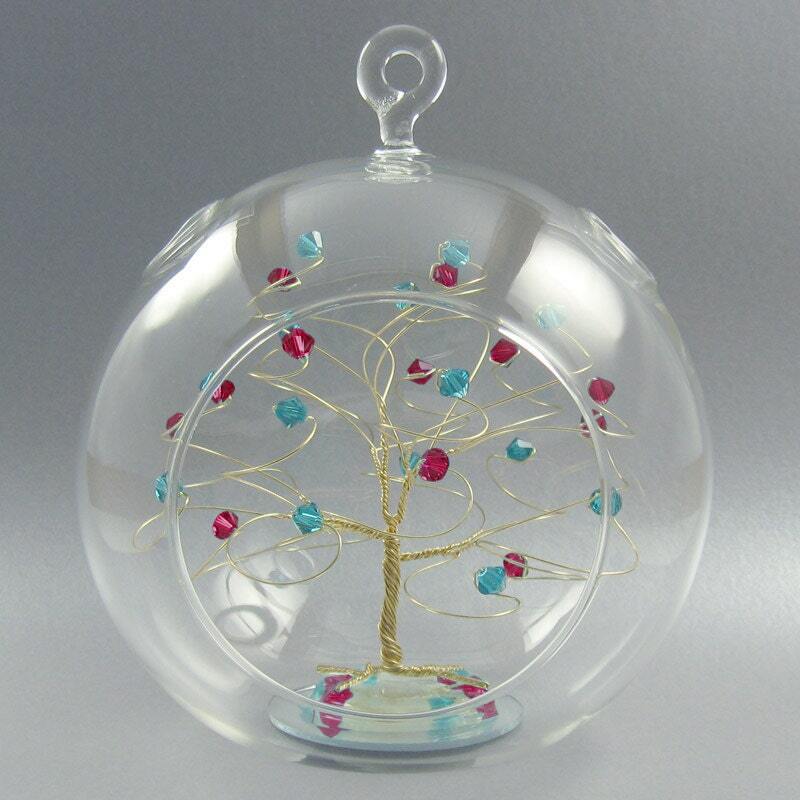 This tree ornament is created by hand using non-tarnish wire, swarovski crystal elements, and a 5.5" glass ornament ball. 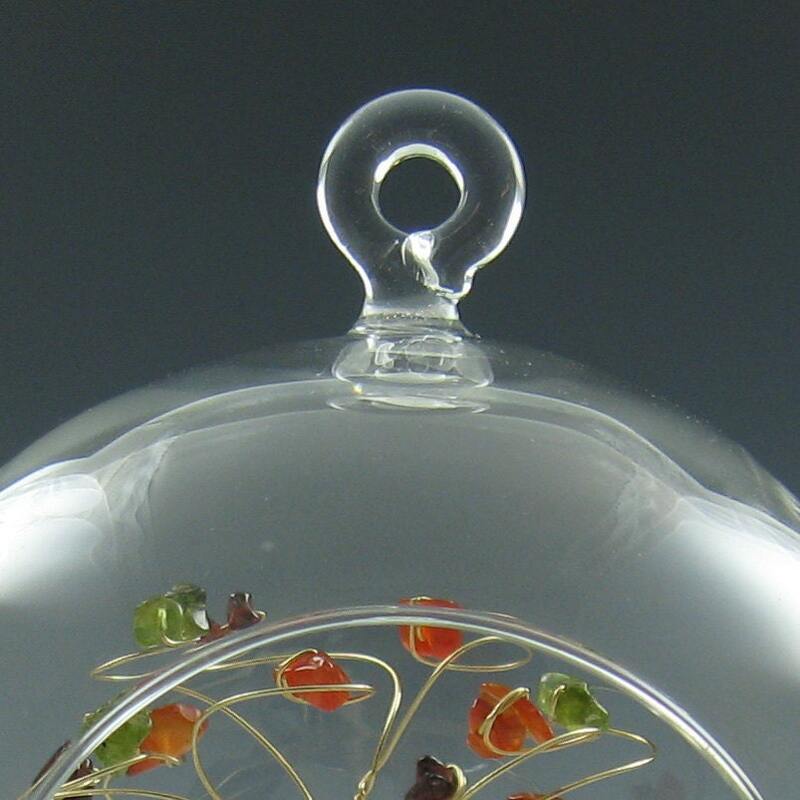 The terrarium ball features a built in loop for hanging and a flat bottom along with a couple holes at the top. Every glass ornament is individually boxed then boxed again with more padding for shipment. Wow is all I can say! More gorgeous than I ever dreamed. Thank you for an ornament that will be in our family forever!